Here's a recap of how well our upper school athletes are performing this winter. This should be an exciting week to end our seasons! 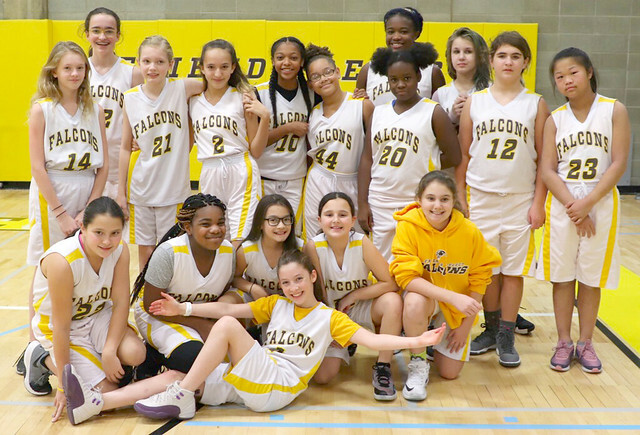 The girls basketball team won 14 games this season, which is the most since the 2003-2004 FSL Championship season for the Falcons! In the Quaker Cup semifinals, the girls basketball team lost to Germantown Friends School on Wednesday, but the boys basketball team beat GFS and will advance to play in the Quaker Cup final at George School this Friday at 3:30 p.m. The boys team has 12 wins this season, making it their most successful season in 6 years. The upper school squash team had an amazing first season as a program. With wins over Shipley School and St. Joseph's Preparatory School, the team finished 2-1 this winter. After easing into the first year, we plan to expand and grow their schedule next year with hopes of playing in Nationals. The boys swim team is coming off a nice win over Abington Friends School last week. The boys and girls teams are preparing for champs at George School this Saturday at 3:00 p.m. The girls swim team is having a strong season with league wins already over Westtown School, Moorestown Friends School, and Abington Friends!